The Cultural Broker Program was started by an organization called "Project Save Our Children". Project Save Our Children was formed in May of 2010. This San Diego community grassroots organization began because of the racial disproportionality of African American children in the Child Welfare System. Project Save Our Children (PSOC) recognizes that there must be multiple targeted efforts to connect children with permanent and healthy families such as: birth families, kinship families, extended family or adoptive families. Project Save Our Children developed the Cultural Broker Program as one way to address the disparity and disproportionality that exist in the African American children and families of San Diego. Cultural Brokers are members of the community that advocate as well as navigate for the families of the same culture. 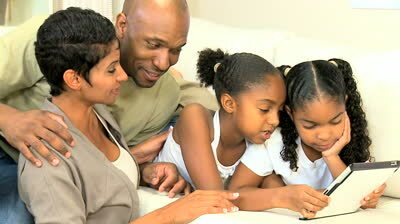 We also have extensive knowledge base of the families cultural background. Cultural Brokers work with families who are at risk of becoming involved with the Child Welfare System (CWS) also known as Child Protective Services (CPS)​. The Cultural Brokers work to increase the quality of the relationship between the Child Welfare System and the families it serves in order to create better outcomes for the African American families.